Learn about BIOActive Nutritional’s founding mission and background story from Dr. Daniel G Clark! Dr. Clark will also share how he has grown and developed BIOActive Nutritional over the years. 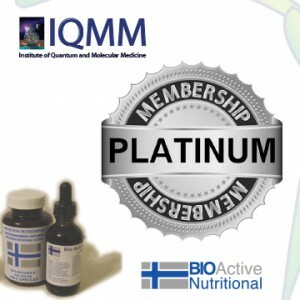 Fully Understand the BIOActive Nutritional Catalog. In this section, Dr. Clark will discuss the BIOActive Nutritional catalog in detail, so you can learn all about our products. In order to do this, Dr. Clark will share a brief history of how he developed the catalog, and go into details of the product line. Gain access to an essential collection of Immunotoxicology books and resources. With this powerful guide, you will have a deep understanding of the processes and uses of Natural Medicine and BIOActive Products, and how they relate to Immunotoxicology. You will gain a deep understanding of your patients’ symptoms and how to use our products in relation to their problematic areas. This is a fully detailed symptoms analysis chart that provides an answer key to fully incorporate protocols associated to specific problems pertaining to the symptoms entered by the patients. The Botanical Guide is a detailed list of BIOActive Nutritional’s Botanical Products, including indications, contents, active ingredients and dosages. Learn about homeopathy, the process in which we make our homeopathics, and the different homeopathic preparations we use. This is an A-Z of BIOActive Nutritional Protocols, where you will learn about all possible diseases and how to use BIOActive Nutritional Products. 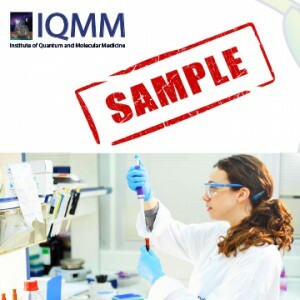 The Nutritional Review is subject to research provided by IQMM, including articles and research from other respectable sources. Please review these protocols developed by our team of staff doctors. Gain access to our collection of research and lectures. The power point lectures can help you with your next office presentation or public discourse. Follow along with Dr Daniel Clark as he explains all the tools BIOActive Nutritional has to offer.